Meek Mill has hit a hiccup in his latest attempt to walk free after a judge denied his request for bail. TMZ reports that Judge Genece Brinkley classified the rapper as a “flight risk” and “a danger to the community.” Brinkley also questioned the validity of his clean drug tests, apparently suggesting that he could have used something to flush his system. 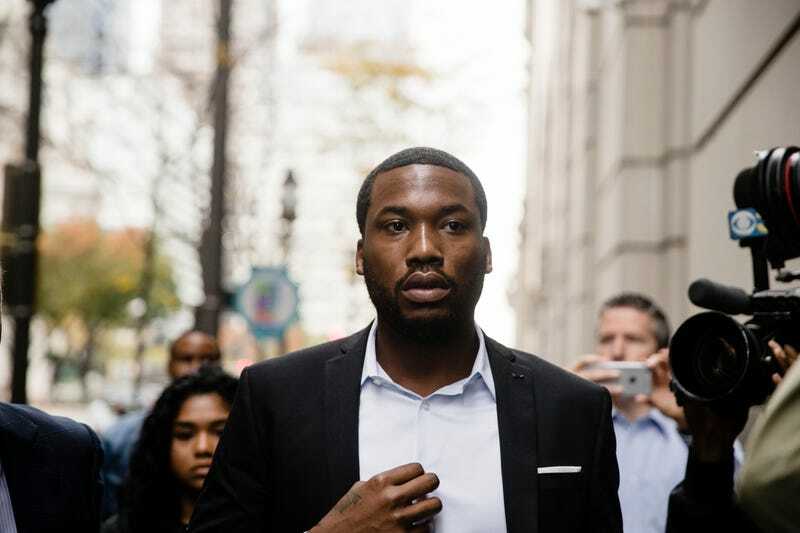 Meek’s lawyers have been attempting to get their client out free on bail as they appeal his two- to four-year prison sentence for a probation violation tied to a 2008 conviction on drug-and-weapon charges. His lawyers have argued that the judge shows “enormous bias,” including acting “inappropriately” by asking Meek to drop his current management, Roc Nation, and sign with local music mogul Charlie Mack. The lawyers have also accused Brinkley of once asking the rapper to do a remix of “On Bended Knee” by Boyz II Men and give her a shoutout, a request that Meek refused, possibly resulting in his stiff sentencing. Those allegations have prompted an FBI investigation. This latest ruling by the judge has prompted Meek’s lawyer Joe Tacopina to once again call out Brinkley, saying that the decision “continues her long pattern of unfair treatment” of Meek.